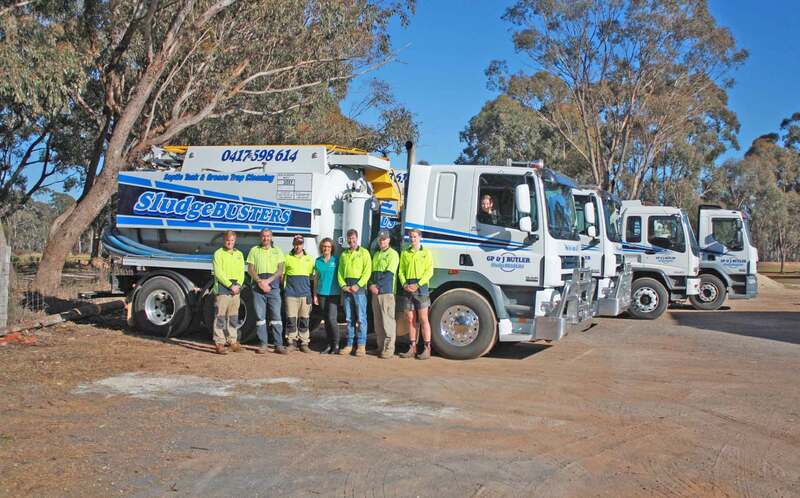 Sludgebusters was established in 1989 by Greg and Jo Butler and has been operating in the Central Victorian area for more than 30 years. We have two modern 12,000 litre vacuum tankers that are maintained regularly according to our safety and maintenance schedule. Sludgebusters Pty Ltd is fully accredited by the EPA and follows all guidelines strictly. Our Occupational Health and Safety Plan is updated regularly and adhered to by all staff. We are the wastewater specialists in regional Victoria, specialising in septic tank cleaning and water tank cleaning for residential areas, and grease trap and triple interceptor cleaning for businesses, servicing areas in Central Victoria, including Ballarat, Bendigo, Castlemaine, Daylesford and Maryborough. Sludgebusters Pty Ltd currently services a large number of businesses in the area including KR Castlemaine, Hazeldenes Chickens, Loddon Prison, many restaurants, hotels and takeaway outlets and the Maryborough, Dunolly, Avoca, Inglewood and Heathcote Hospitals. We have access to several disposal sites for all types of liquid waste, which is disposed of in accordance to EPA requirements. Our team can also carry out hydro excavation jobs at times to suit your business needs, by either of our 2 tankers which operate in the local area every day. Our services are negotiable for after hours, on weekends and for emergencies. Contact the wastewater specialists at Sludgebusters to find out more about our services or for a free quote.